Collaboration in today's fast-paced business environment often means the integration of disparate or incompatible applications and information sources. EAI (Enterprise Application Integration) is most important aspect of enterprise architecture for large projects. Our approach emphasizes not just new and emerging technologies, but also the right technologies that can actually accomplish our client's business objectives. - Integration with Standard ERP’s such as SAP, JD Edwards, MS Dynamics etc. In order to match with the varied necessities and desires of our respected patrons, we are readily engrossed in presenting Enterprise Architecture Governance to our patrons. Offered services are hugely valued amid our patrons due to their flexibility and on time execution. Not only this, we provide these services beneath the stern administration and direction of nimble personnel. Enterprise technology systems today must accelerate time-to-market while minimizing costs and risk, control and manage global operations, and provide the foundation of all data-driven decision making. Enterprise Application Services and Solutions are a pre-requisite to newer business initiatives and strategies. 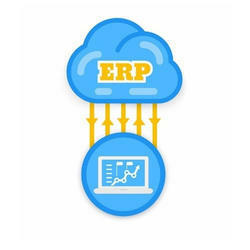 Nelsoft Technologies has developed deep expertise in consulting services for leading Packaged ERP applications, including SAP, Oracle, PeopleSoft, and JD Edwards. Enterprise Application development and Integration Services. Integrate business processes across heterogeneous systems – products/legacy. We develop custom enterprise management applications, which adapts to local process model and helps boost productivity.